"It is more than an honor [to be in Star Wars], it is like an amusement park for adults, as it is all very magical, as if you were a child, it is rare, something really great and I can not say more than I am there, because everything is so secret, It was just my pages, I could not leave my dressing room because there were planes trying to take pictures of us, a real secret. The first ‘Star Wars’ was released the year when my brother was born and he died two years ago but he is always with me. I remember the first time I heard they were filming here in Albuquerque and told my agent I need an audition, but nothing happened. Then, when he got a call that they wanted me to ‘Star Wars’ I thought it was my brother who was answering my request he had made, because I think a lot about it and this is something very special, “he added. Princess ‘Leia’ was the first love of my brother and I stayed and talked with her, so everything is very special because I never imagined also be part of that." Here he mentions New Mexico as a filming location, which has been rumored as such for several years now. Back in 2013 our sources confirmed that Disney had made a three year deal to shoot The Force Awakens in the state. Ken Leung's comments are the first official word we've gotten on the matter. Sinembargo adds that Leung also visited Pinewood Studios in London to film scenes. To top it all off, Star Wars 7 News has provided us with an actual photo of Ken Leung in costume. Scroll down to check it out. Of course, a minor SPOILER WARNING is due for those who don't want to know anything. 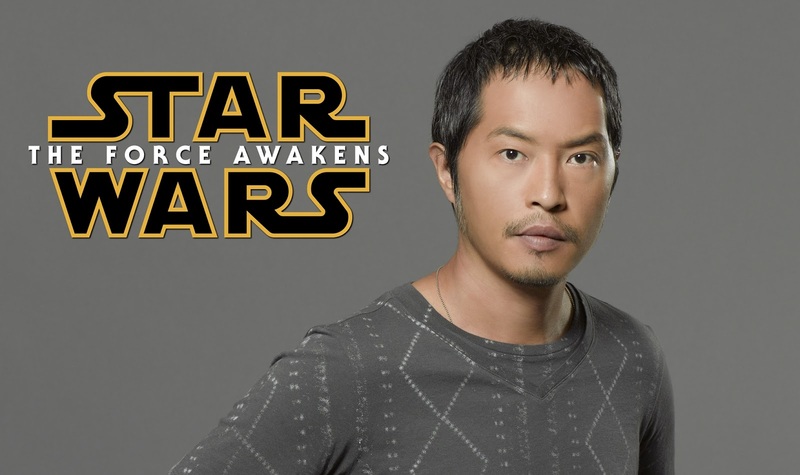 As you can see, Ken Leung appears to be playing a Resistance military officer of some type. 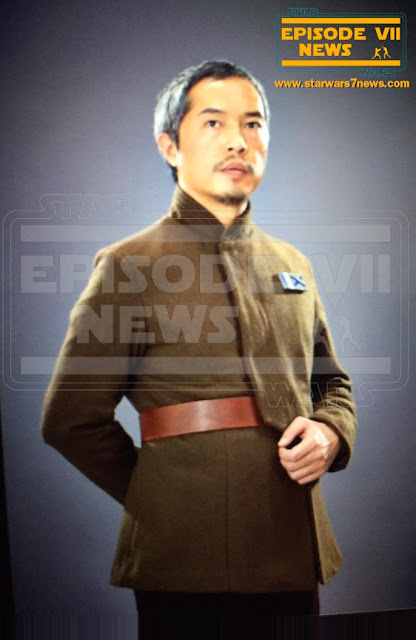 In addition, Star Wars 7 News noticed that Leung actually appeared in the Comic Con reel that was released earlier this month. 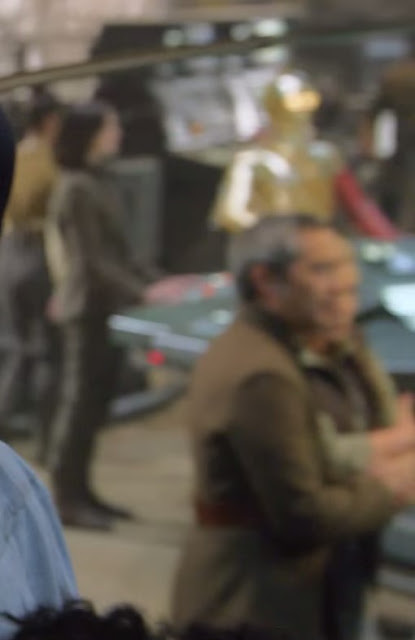 At 2:20 in the video Leung appears for a split-second behind J.J. Abrams and next to Carrie Fisher as Leia, along with C-3PO and others inside what appears to be a Resistance base. Lots of interesting stuff here! I'm excited to learn more about Ken Leung's character and how big a role he will have in the film. Star Wars Episode VII: The Force Awakens opens in theaters December 18th!